Say hello to boyfriend denim cut-offs, as I am here to talk about these incredible shorts and how to wear them so you never get bored. 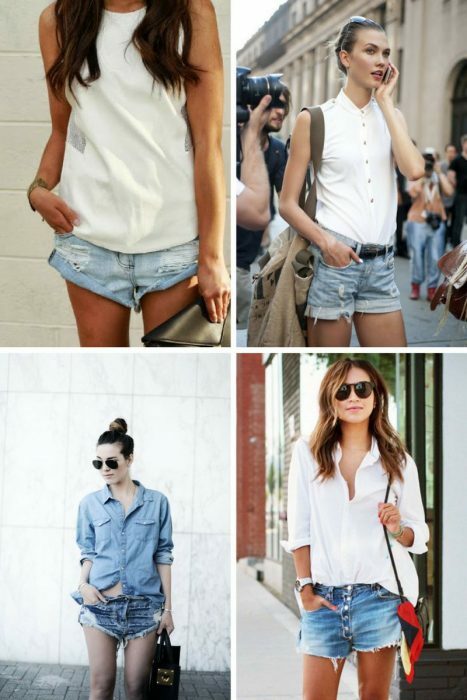 Like everything that is made of denim has a great style potential and boyfriend denim cut-offs are no exception. There are lots of interesting opportunities on how to pull out these bottoms in real life and today we are about to see amazing outfit ideas you can copy next year. Every single denim cut-off has something vintage, celebrity inspired and fashion forward. I am here to show you what to wear with denim boyfriend cut-offs for women and stay cool all season long.